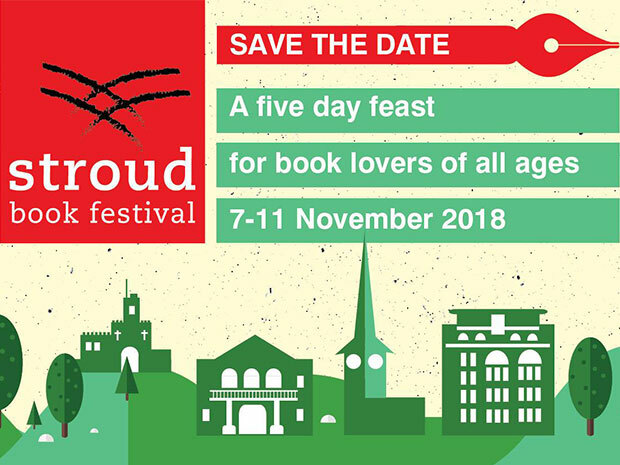 A five-day literary feast, the annual Stroud Book Festival set to draw hordes of local book lovers to town in November. Literary lovers won’t want to miss the return of the Stroud Book Festival. Showcasing some of the finest novelists, writers, poets, children’s authors and storytellers from the county and beyond, Stroud is set to play host to its annual Book Festival for another anticipated year. Taking place from Wednesday 7 to Sunday 11 November 2018, the anticipated event will feature a number of interesting events; encompassing everything from children’s authors to politicians, the diverse programme is sure to appeal to all tastes and ages. SoGlos has rounded up its highlights below; for more information and to buy tickets, visit stroudbookfestival.org.uk directly. Acclaimed novelists Patrick Gale and Jane Bailey will appear on Saturday, discussing how they explore the agonies, ecstasies and monotonies of family life with truth and resonance in their fiction. Also on Saturday, there’s the chance to join authors Susan Fletcher and Kate Riordan who'll be delving into Houses of Intrigue. The two will share the inspirations for the settings of their novels, which feature period houses which are haunted by the past. For sci-fi fans, Sunday will see three acclaimed authors, Jonathan Howard, Kim Lakin-Smith and Gareth L. Powell, talking about what’s new, and the challenges of joys of writing in the genre. Gloucestershire novelists Elisa Lodato and Amanda Reynolds will talk on Friday, discussing their latest works and the enduring trend of domestic noir novels, during Something Nasty in the Living Room. Other fiction events include Stroud Short Stories on Sunday; and a talk about Reading and Healing with writers Sally Bayley and Alice Jolly on Saturday. Former Home Secretary Alan Johnson will discuss In My Life: A Music Memoir on Friday; and 'Queen of Shops' Mary Portas will appear at the festival on Saturday, talking about her new book, Work Like A Woman. Another highlight will be with Will McCallum, Head of Oceans at Greenpeace; he will be joined by Claudi Williams for How to Give Up Plastic: Changing the World, One Plastic Bottle at a Time, on Thursday. Meanwhile on Sunday, join Christie Watson and Sam Guglani for The Caring Kind; experts from caring professions and writers, the two will discuss what it means to dedicate your life to the care of others. With an appearance from favourite cook Prue Leith on Sunday; as well as a talk from one of the world's leading wine experts, Oz Clarke, the festival will finish on a foodie high. Young literature lovers can enjoy a great selection of events, including Dinosaurs: The Terrible Truth! on Saturday with television scientist and author Dr Ben Garrod; and Ade's Amazing Ade-ventures: Battle of the Cyborg Cat with Paralympian Ade Adepitan on Thursday. There will be a special family event with children’s book illustrators, Tony Ross and Michael Foreman, on Saturday, commemorating the centenary of the end of WWI during First World War Stories. Other children’s events include hands-on craft event, Make a Miniature Garden with author Anna Wilson on Sunday; and an hour of silliness on Sunday with John Dougherty, during There's A Pig Up My Nose!. For more information and to buy tickets, visit stroudbookfestival.org.uk directly.